Greetings once again from sunny California, where I am still without my video cord. You’ll just have to wait for the video, instead. A similar situation to last night heading into Final. Elisa should wager 9,400 to cover Josh. 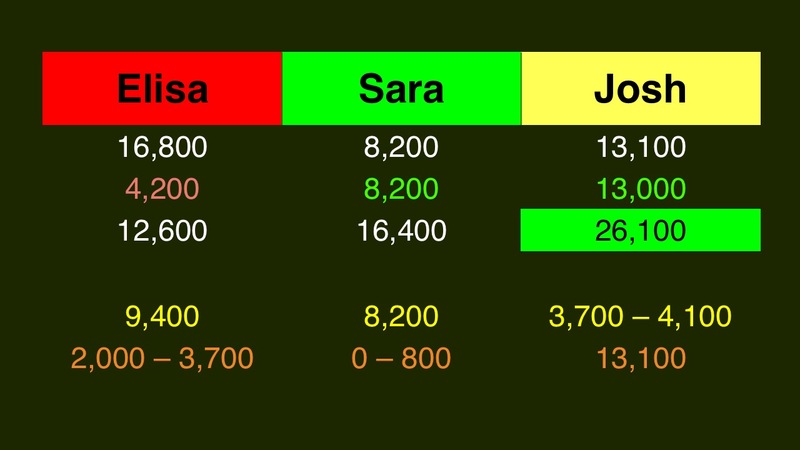 Josh can wager up to 5,700 to stay above Elisa if they’re both wrong. 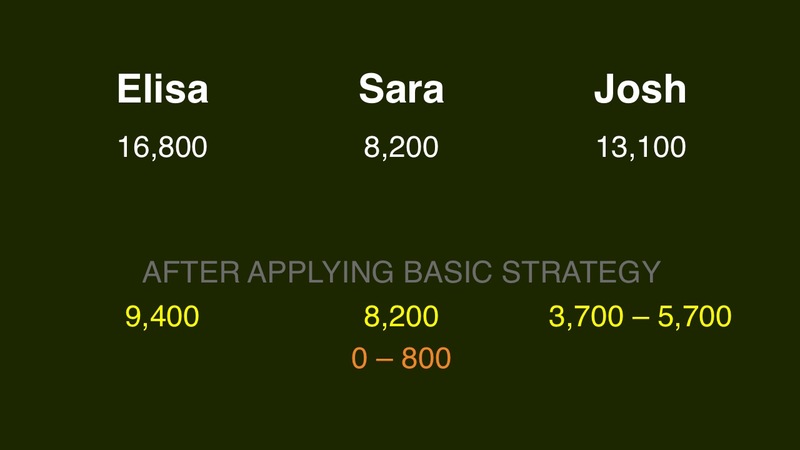 Sara can wager up to 800 to stay above Elisa should they both miss. Josh should wager at least 3,300 to cover a double-up by Sara. Sara would need to wager 1,600 to account for this, but since she’d lose to Elisa if she’s wrong, if she chooses this route she should bet it all. Josh should up his minimum to 3,700 to cover a zero by Elisa. Note also that Elisa could wager 400 to stay above Sara – this will be a factor in mind games, but I don’t know that I’d recommend it in general. If Josh wagers 5,700, he’ll have 18,800, so Elisa could wager 2,000 to cover this possibility. If he’s scared of this (or another erratic wager, given her history!) out of Elisa, Josh could go for everything. If Sara wagers that smaller range, she’ll have 9,000. Josh should cap his main wager at 4,100. Sara should almost certainly go for everything at this point. 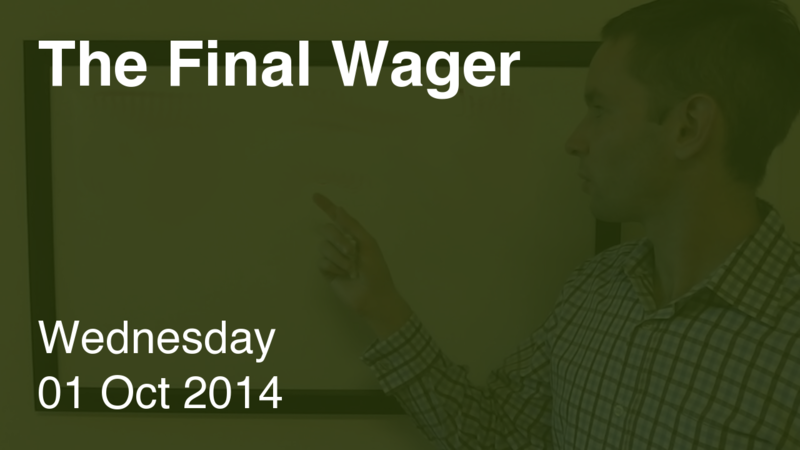 If Elisa goes for this smaller wager, she should cap it at 3,700 to stay above a zero wager by Josh. If Elisa did not like the category, couldn’t she cap at 400 not to fall below Sara’s doubled score?